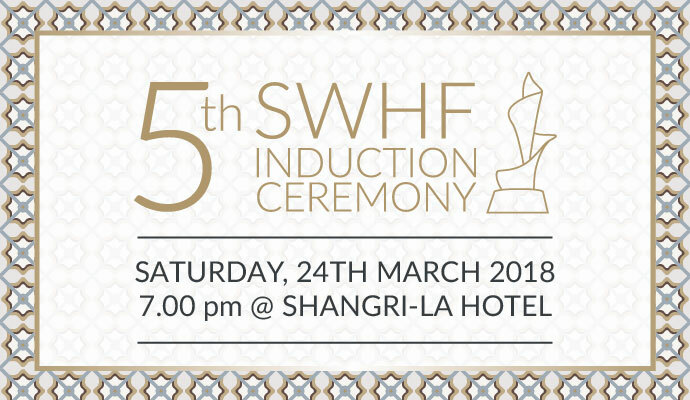 Every March, we celebrate International Women’s Day (IWD) with a gala dinner and the Singapore Women’s Hall of Fame (SWHF) induction ceremony. Come join us in celebrating the achievements of these outstanding women! Join us on this very special night, and support the Singapore Women’s Hall of Fame with either the purchase of a donation table or seat, or an outright cash donation. All financial contributions are eligible for tax exemption.